The dough is softened bits of butter, sugar, and flour, which is frozen then rolled out, then baked on top of each cream puff. Bakeries in Paris often make chouquettes, which are sold by the bag and make the perfect afternoon snack. But fancier shops will dress up their cream puffs, which adorn more elaborate pastries. I made a batch of pâte à choux (cream puff) pastry recently, and decided to dress them up with craquelin (you can find cream puff recipes in my books, Ready for Dessert and The Perfect Scoop, as well as at the link above to chouquettes) – and was delighted to pull the tray from the oven to find the dough had draped nicely over the tops. You can either snack on them as they are, or fill them with ice cream or lightly sweetened whipped cream and let them rest in a pool of chocolate sauce. This makes enough dough to cover fifty bite-sized cream puffs. You can either cut the recipe in half, or wrap the rest of the dough and freeze it to use on a future batch of cream puffs. (The dough will keep for up to two months in the freezer. )It’s easiest to roll out between two pieces of parchment paper but you can use plastic wrap if that’s all you have available. Find a cookie cutter that’s about the same size as the diameter of the unbaked puffs, and use that to cut circles to place on top of the dough before baking them off in the oven.The puffs may expand a bit more than normal, so you should pipe them a little more widely spaced apart than you might usually do. 2. 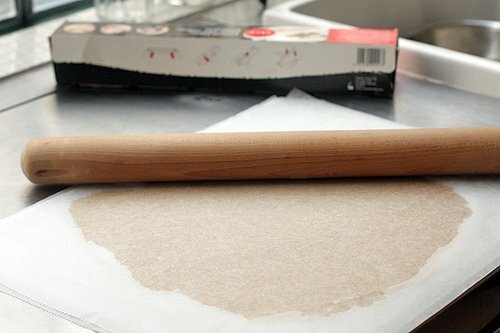 Put the dough between two sheets of parchment paper and roll the dough until it’s about 13-inches (33cm) round. Slide the dough on a baking sheet and freeze the dough. 3. Make your cream puffs, and after they are piped onto a baking sheet, remove the dough from the freezer and let it stand a minute or so, until it’s defrosted just enough to cut. 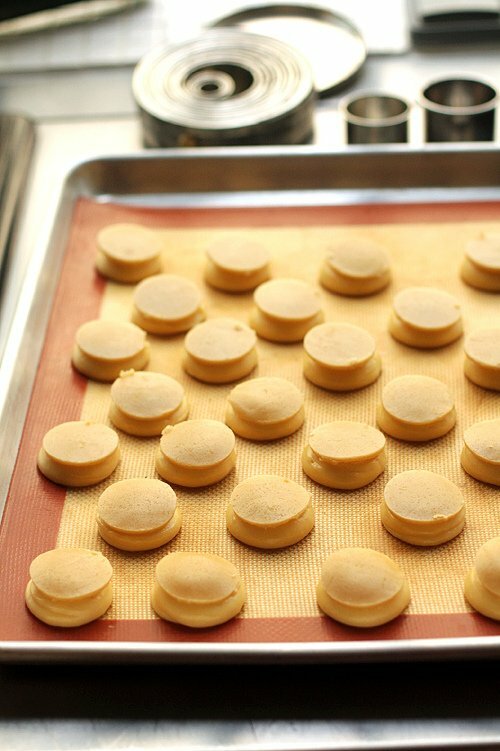 Using a round cookie cutter about the same diameter of the puffs, cut out circles of the dough and set them on top of the puffs. Bake the cream puffs as indicated by the recipe, until the tops are nicely browned. I have actually never seen this before! 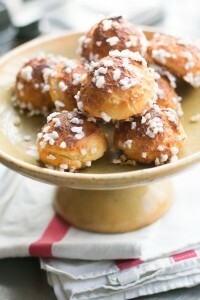 I love cream puffs (I actually just posted some last week) and will definitely be trying it out. Thanks David! This is a beautiful technique and these cream puffs look amazing. I look forward to trying this out! Excellent — just what I’ve been wanting! Thanks, David. One thing I’m curious about: have you really found that the cracquelin-topped puffs expand more than usual, or is the instruction to space more widely than usual simply insurance? I imagine that the sugar would make baked cracquelin stickier than plain baked choux puffs. I’ve never heard of cracquelin, either; is it almost like a baked streudel on top? In any case, they look incredible, and keeps burning my envy for anyone who has regular access to a French bakery! I was making cream puffs from the bouchon cookbook and he talked about making a cookie to place on top of the cream puffs which I thought was odd so I decided to ignore it. Now I understand….haha. The before pics are especially mesmerizing. And thank you for putting both metric and US measurements in the recipe. Much appreciated! I can’t say I’ve ever wondered about this but now I am intrigued. Normally I don’t like cream puffs because I find they are kind of bland and boring but this sounds like a great way to jazz them up! You learn something everyday! What an interesting “trick” that I never really thought about before…and yes, it does remind me of Chinese “pineapple” buns that have a similar crackly sweet topping that is very delicious. I made cream puffs (first time) not long ago and maybe I’ll work my way up to dressing them up like this at some point… Thank you, David! We do this in Sweden too and then fill them with whipped cream and creme pat. Looks lovely! Are there other applications for craquelin? Maybe on breads or other kinds of pastries? These remind me of the ‘pineapple bun’ tops at Chinese Bakeries. Named as such because of the way the cracks form on the bun when they’re baked. I didn’t realize they’re served on top of cream puffs as well. Delicious! Thought this was going to be a post about French cracklin or pork rinds. David, where did you get that nice collection of round/ring cutters? Would they be available in the States? 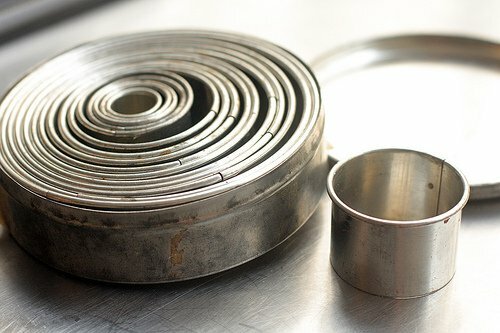 Mine are old (vintage) but you can get round sets of metal cookie cutters made by Ateco in the states, sold in cookware stores and on Amazon, in the US. Yay, David! I was looking for a secure and safety crackly top recipe, before yours the only really reliable that I found was Thomas Keller. I’ve found that chouxs rise less with craquelin on top. They don’t collapse while baking, but remain kind of smallish. Any way one can make up for that effect? As noted, I find the opposite – that mine rise more! Craquelin seems to be everywhere now! I never really understood it at first either – then in our bakery we would put some on round invidiual brioches filled with a (previously frozen) sphere of creme pat and rum-soaked raisin. They were very cute! I think the Japanese called them melon pan? This is perfect for the holidays! Can’t wait to make them. Oh, my, that’s a lot of work. 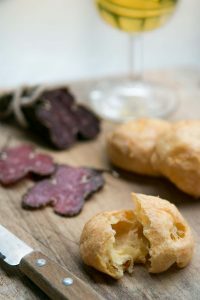 Pate au choux was the first baking item my French mum taught me to make. Yes, even before the traditional American chocolate chip cookies. I make them often as gougeres or plain and freeze. Tis good to know but think I’ll pass. I WILL learn to make laminated dough, however. 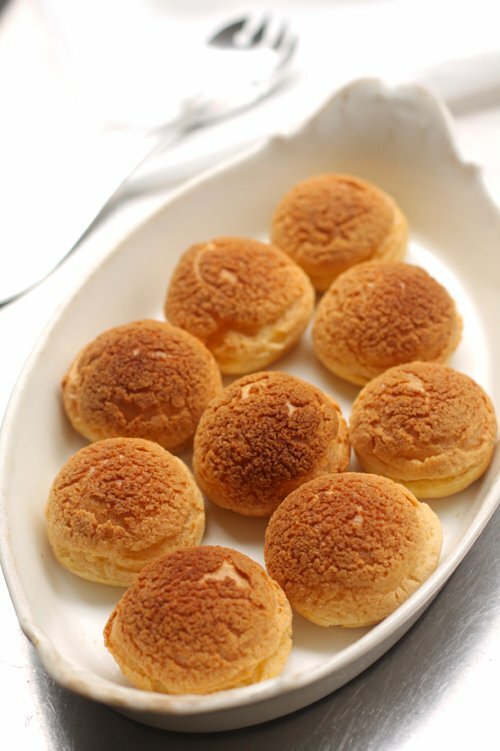 This looks like pineapple buns at Chinese bakeries, have you tried it on sweet yeast dough? …To anyone looking for a set of the round cutters in the U.S. I’ve seen them quite often in cooking stores and crafty stores that sell baking supplies. Also, very easy to find online. I haven’t used white sugar (in France, one often uses what’s called sucre roux, which is similar to unrefined sugar.) 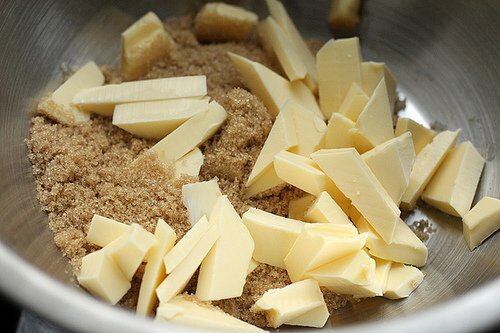 I like the taste of unrefined sugar, or light brown sugar, so I use that. Hey David In Asia we also put them on buns, A famous one would be the Hong Kong Polo Bun. I suspect that in Asia they add some milk powder to the Craquelin. I guess I’ll try until I get it right! Your silpats look remarkably pristine. Mine are nearly black. A very nice/simple touch for a holiday cream puff; can’t wait to make it. Thanks! There’s a very similar topping on the some of the pastries in the Mexican bakeries in town (Salem, Oregon). Now I know how they do it. Craquelin? More like CRACK! I could eat the entire batch…. Hmm. Interesting; I will give this a try. But in the first paragraph do you really mean, “look no future”? I think “further” might be a better choice… Love your blog, David. We visit Paris whenever we can (which is only once every few years), and we’ve been several places because of you that we might have otherwise missed. Yes, how DO you keep your silpat’s so clean? I’ve tried everything to scrub them but nothing’s worked so far. Also, I think this topping might be great on Japanese Cloud Cheescake. Also like the thought @Maya had of adding coloring – imagine how fun for red velvet cupcakes – or any flavor – instead of icing? And on sugar cookies! Have you ever heard of Pappa Roti? It is a franchise that is taking the Gulf countries by storm…. They area a coffee shop that features the buns. They look exactly like the ones you have posted a photo of. They pipe the Craquelin on top of each bun in a spiral instead of cutting out a disk. Turns out the same after baking. Just FYI the PappaRoti franchise is also in the far east,… Malaysia, Singapore and India. So maybe it is a spin off of the Hong Kong polo bun. Had a similar topping on “Dutch Crunch” rolls in SF but there it was made with rice flour dough put on top of regular bread dough. I will have to try this one. 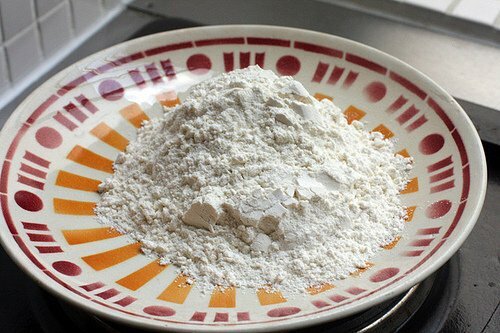 Dutch crunch includes: 1 tablespoon dry yeast, 1/2 cup warm water, 1 tablespoon sugar, 1 tablespoon vegetable oil. 1/4 teaspoon salt & 3/4 cup rice flour. Very easy to do – just search for Dutch Crunch bread recipe. How did I not know about this? David, every new post is such a wonderful treat! Seriously. You have a marvelous gift for piecing together bits of your life, bits of the lives of those who you visit, glorious recipes, and incredible descriptions of social customs in all parts of everywhere. I love it. The only thing better would be to find out I’m your long lost sister and actually get to experience things with you. Wink wink! Nobody has such pristine Silpats…it ‘s the kichen equivalent of a lean desk ;)! This is my blogging debut. I couldn’t help but to respond to the “map of france” from a Parisian point of view. I still chuckle when thinking about it. I did note you are almost out of organic pecan, and as I will be in Paris from Oct 9-17th, I would be delighted to bring you some. I am staying just off of rue Montorgueil. Thanks to your Sweet Life in Paris and blogs, I found the 30 month Comte at La Fermette. Merci Beau Coup. Love reading all of your works. I keep most of your blogs in a file, but I can’t fine the one you posted fairly recently with the crisp topping that you bake separately from the fruit. You said you would take it in containers with you to friends’ houses for the weekend. I wanted to make it when I was at a friend’s who had a surplus of aprciots, but we had to resort to a typical bake with the fruit one – good, but I wished I could have found yours. Is there a way I can get the recipe? The recipe is Polenta crisp topping which is baked on the fruit, but can be made in advance and strewn over the fruit in the baking dish, then baked. didn’t christophe michalak originate this technique a few years back? i know both the choux and eclairs versions have been all over the pastry shops for a couple of years now at least. glad you’re covering it. 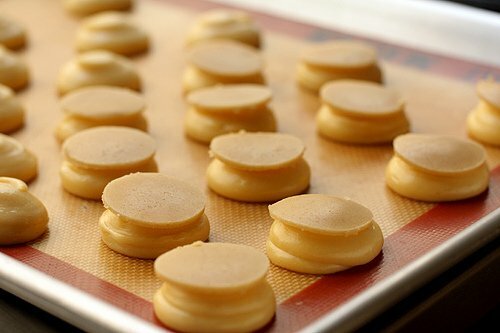 I don’t know who originated this technique but many bakeries, such as Ladurée and so forth, tend to use it. Many commenters wrote it was similar to a topping for an Asian bread, so perhaps that’s where the idea originally came from? btw do you have a good recipe for a creme mascarpone a la vanille? these days it seems like simple old-fashioned creme patissiere has become rather passe. The finished ones in the picture don’t look filled. Are they typically filled with a custard filling when topped with craquelin? How do I satisfy the need for chocolate too without interfering with the topping? I noted in the post, in the last line between the 2 final photographs, some options for kinds of filling and where to place the chocolate sauce so it doesn’t interfere with the topping. 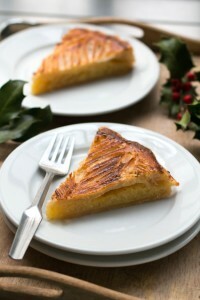 However one could certain fill them as they wish, including using a custard (pastry cream), or similar filling. I want to take these to a potluck picnic. Chocolate is important to me and sitting on a pool of sauce won’t work in this setting. I think I will put a dab (or 3) of chocolate ganache in the bottom before filling with pastry cream. I have tasted these and they are truly delicious. The one I tatsed though had delicious chocolate toppings in them that will truly rock anyone who eats these. As mentioned by Frances above, the look and recipe are strictly similar to the ubiquitous melon pan (メロンパン) the Japanese are so proud of (and which is a staple in convenience stores all around the country – I would argue that it is the equivalent of the French “pain au chocolat” for kids). There is something I’ve seen in the states called “Dutch crunch” bread which also has a similar crust. (I Googled it and it’s called “Tiger bread” from the Netherlands – which they said has a crust made from rice flour painted on top.) So it seems that adding some sort of crackly crust to bread has implications in many cultures. As with most things, it’s hard to pinpoint who came up with it first. But since most foods represent a mix of cultures, the origins of this kind of topping are probably the results of various influences. I had never seen or heard of this, and was about to scroll past but then a saw a picture of brown sugar and butter, and well don’t all the best things start with brown sugar and butter. Now I’m kicking myself for using the last of the butter, and questioning if I should get out in the rain to get more.